there worse things to get stuck in your head! JESUS: Ask and ye shall receive...sucka. 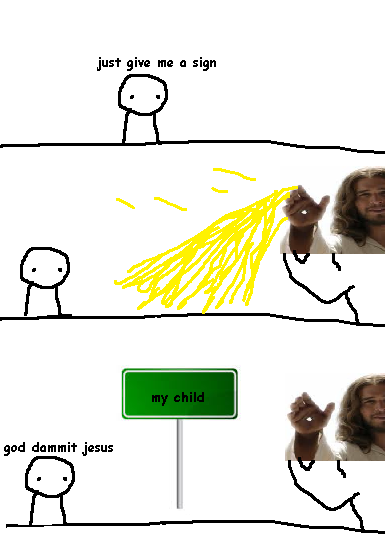 Jesus shoots pee from his fingers, totally canon. and so it is writ, Jesus totally peed from his fingers, and all those present said unto him, "that's gross"
Isn't that a quote from Hellraiser, too? I loved that movie. Didn't know it was an actual bible quote.